I currently work for a company which is headquartered in Sydney, Australia. I, along with the rest of the software development team is however located in Bangkok, Thailand. 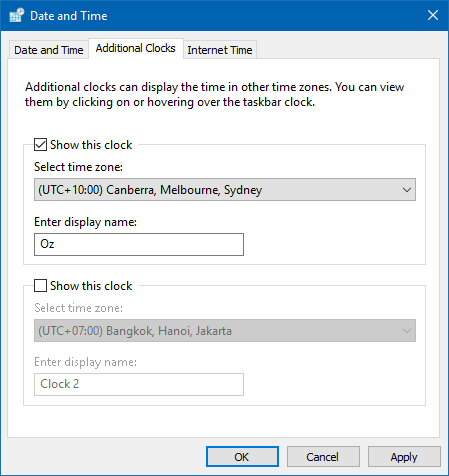 I have found myself a few times trying to figure out the time in the Sydney office, so a colleague showed me how you could set up multiple clocks in Windows 10. 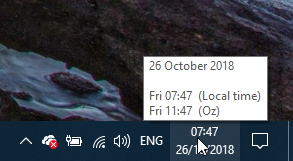 This will open the Date and Time dialog to the Additional Clocks tab. 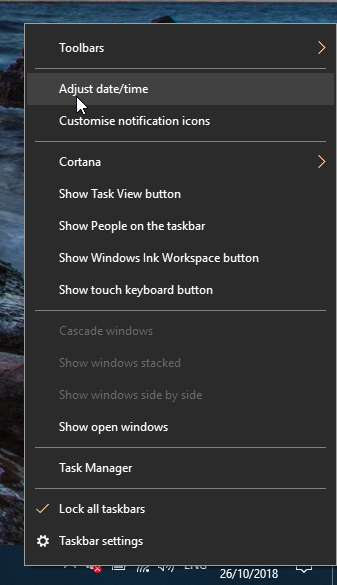 Enable the clock for the extra time zone you want to track and click the OK button when done. 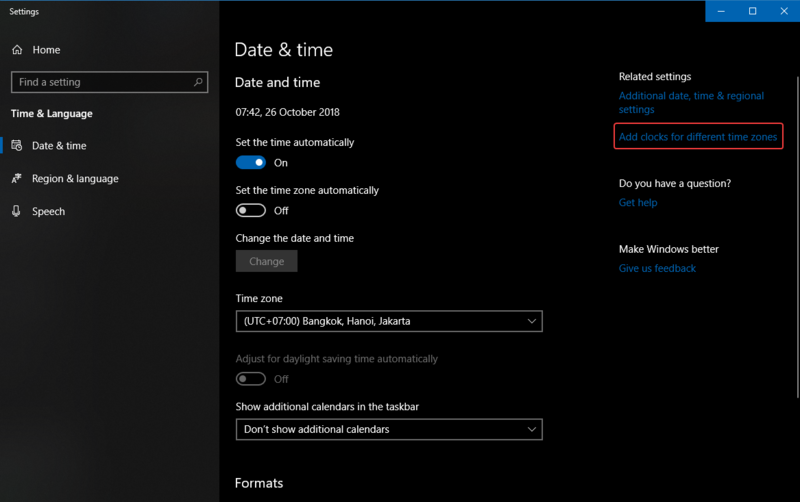 Unfortunately, this does not allow you to add more than two additional clocks, but for someone who only wants to keep track of one or two extra time zones, this is a good solution.